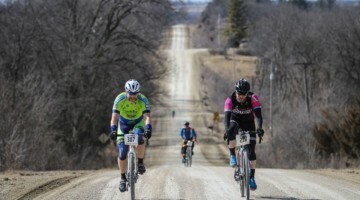 How wide is too wide when it comes to cyclocross and gravel wheels? As tires have steadily become more voluminous in recent years, there’s been a need for wider rims to make the most of 40mm—and bigger—casings. 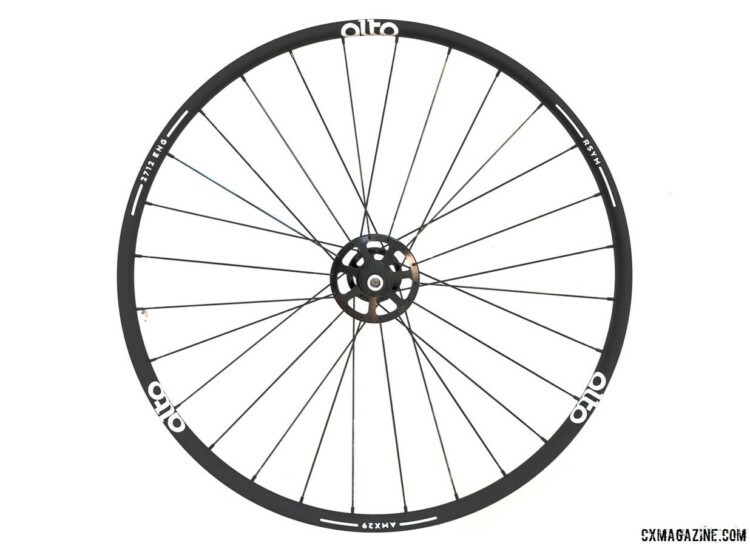 Enter the alloy Alto Cycling AMX29 wheelset, which has a rim so wide the brand says it’s just as suited for cross country and enduro mountain bikes as it is for cyclocross bikes or gravel grinders. Do the wheels hit the sweet spot of rim width for today’s crop of big 700c tires? We put several months of mixed terrain miles on the AMX29s to find out. The AMX29s boast a 30mm external, 26.6mm internal width, which is easily as wide as many dedicated 29er rims. 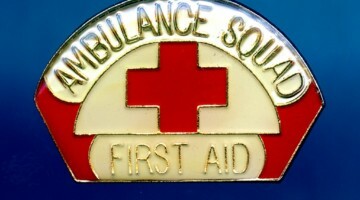 The alloy rim is shallow in several ways. They’re just 20mm deep, have short, nearly hookless sidewalls and have a very shallow center channel that you’re bound to notice at least once. The rims came cleanly pre-taped and included valves for tubeless tires. The wide, shallow rim has a list weight of 425g. That’s within the range of many carbon rims, including the Derby Carbon CX23i, FSE G40/30X and FSE EVO 35CD we have recently reviewed. If you’ve got wide rims, you might as well take advantage and use wide tires. 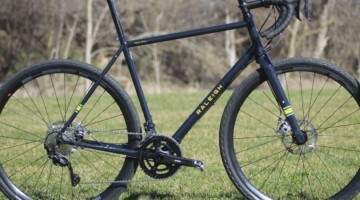 We tested the Alto Cycling AMX29 with both Simworks Hommage 43mm and WTB Resolute 42mm tires. The wide rim with shallow center channel may make for a burp-resistant design, but also can make tire installation a grunt-worthy, tire lever-breaking experience. Without a deep center channel, stiff, tight tubeless beads are tight even while sitting in the channel, and we needed tire levers to install both beads of each tire. Once that feat of strength was over, with a tubeless charging pump, the beads easily snapped into place without soapy water or scary high pressures. That’s the upside of a shallow center channel. The Simworks Hommage measured a full 43.1mm width at 30psi on our calipers. Fortunately, they still fit in our Soma Double Cross Disc test bike. While Alto Cycling offers the AMX29 alloy rims separately, the company hopes you’ll spring for the $1,405 complete wheelset and take advantage of its proprietary hubs. 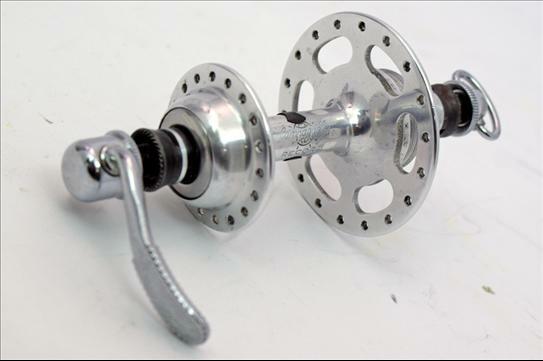 Take a quick look at the AMX29’s hubs and you’ll notice they’re not your average hubset pulled from a Novatec catalog. Alto Cycling’s Bobby Sweeting designed the hubs from the ground up and incorporated a larger drive side flange and wide flange width for better triangulation of the spoke angles and more even tension between the two sides. No, one larger flange is not new. 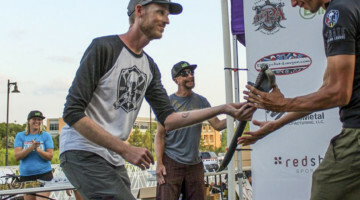 Campagnolo, Phil Wood and Tune have all have implemented larger drive-side flanges, while Rolf flipped the script and increased the size of a non-drive-side flange on disc hubs. However, Alto Cycling attempts to one-up these prior attempts with a whopping 40mm difference between drive-side and non-drive-side flange diameters on disc hubs. Alto took care to slim the aluminum construction for a claimed 1,497g (832g rear and 665g front). Our actual weights verify the list weights seem accurate. With tape and valves, the rear wheel was 885g, while the front was 705g. 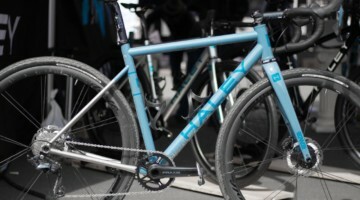 The entire package is held together by 24 Sapim CX-Ray bladed spokes up front and 28 spokes out back. 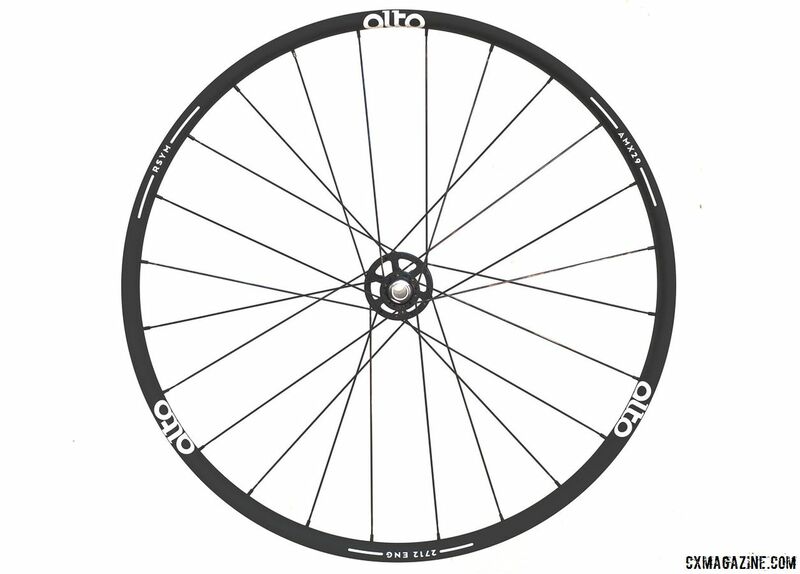 Speaking of low spoke count, Alto claims no rider weight limit, and our 210-pound tester didn’t knock the wheels out of true at all, much less pop a spoke. It seems Alto’s signature R-Symmetric hub design really works to boost the AMX29s’ stiffness. The design uses unequal hub flange circumferences to reduce spoke length and concentrate stiffness in areas of the wheel where more force is exerted. That means a bigger hub flange on the brake side of the front wheel, and even bigger on the drive side of the rear wheel. 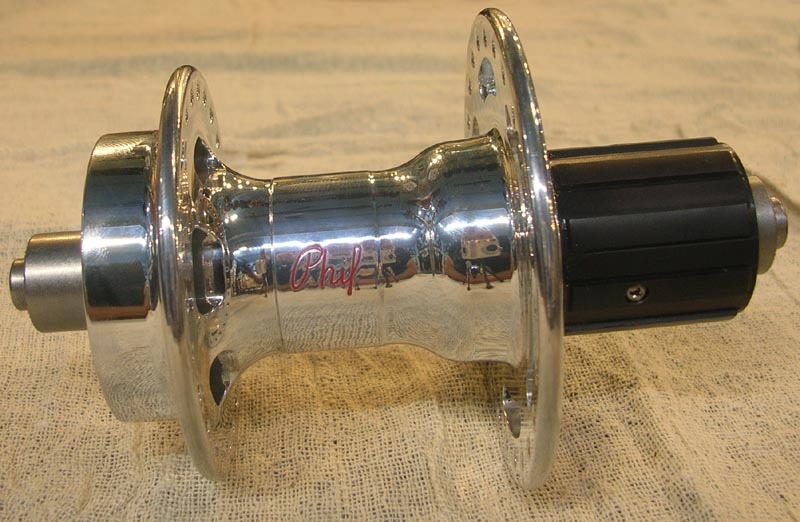 The company also pushes out the flanges as wide as possible, and the result is about a 30% difference in spoke tension between the two sides, as opposed to a typical 50% difference found in other wheels with similar-sized flanges, according to the company. 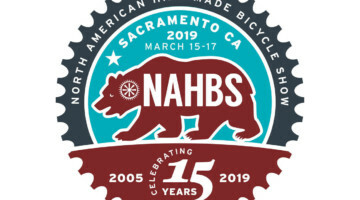 The hubs are adaptable to different axle configurations, with swappable axles that switch the hubs between quick release and popular thru-axle configurations. 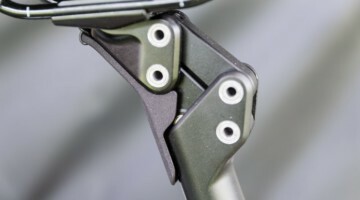 While we might miss the convenience of just swapping caps to move the wheels between bikes, the axles don’t take that much longer to change, and in theory should offer a stiffer interface with less chance for play or slop. 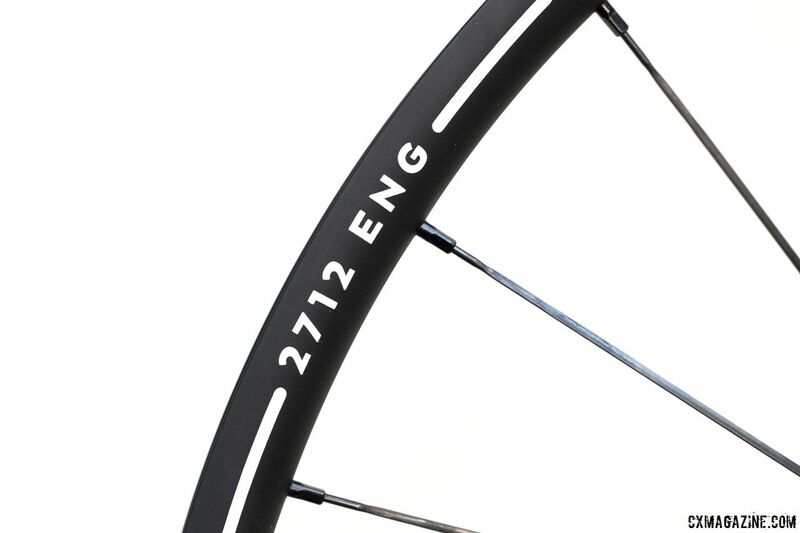 Keen eyes may raise a brow when noticing the 12 drive-side spokes are laced radially. 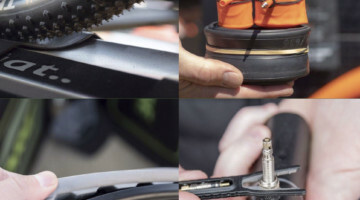 While rear wheels, if featuring radially laced spokes, typically include them on the non-drive side, the stresses of a disc brake rotors have muddied this argument, and companies like Mavic have demonstrated that radially lacing on the drive side can be stiff and reliable. Alto Cycling claims the smaller difference in tension between the two sides adds more torsional stiffness than using higher-tensioned, longer two-cross spokes on the drive side, but it’s worth noting that since receiving the test wheels in the fall, Alto has moved to using two-cross lacing on the drive-side on this model. 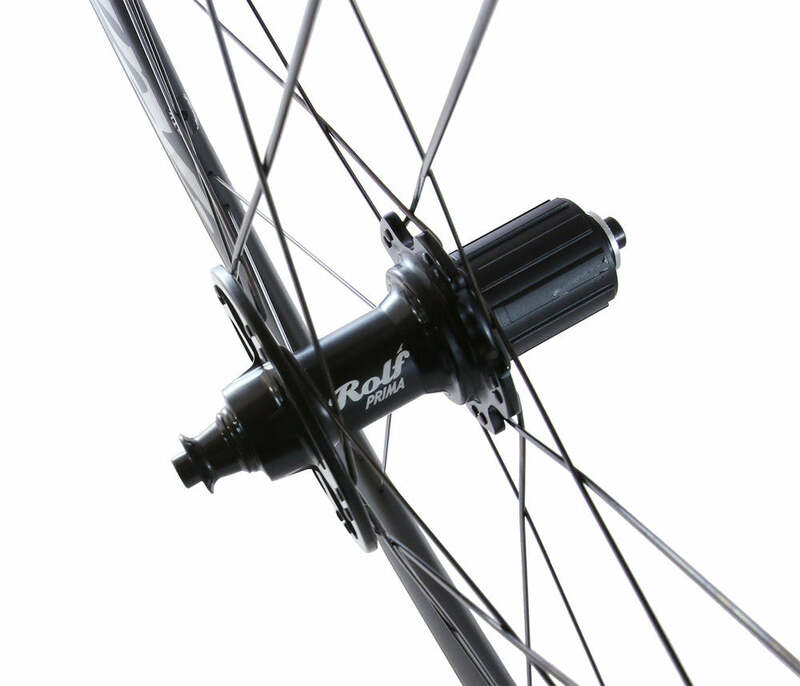 The company said the radial lacing pattern is still an option, but the company’s updates to carbon rim manufacturing and its hub design have since minimized the torsional stiffness gains of using the drive-side radial spokes. All the math, computer models and testing in the world can help build a reliable wheelset, but only real-world riding can confirm a good design. So we put some time in to put them to the test. 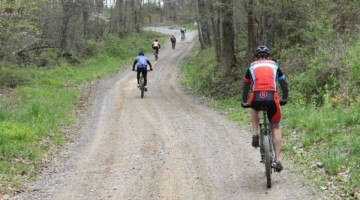 We headed down the road to our local nature preserve, full of gravel doubletracks and rooty singletrack. We noticed the increased width immediately. 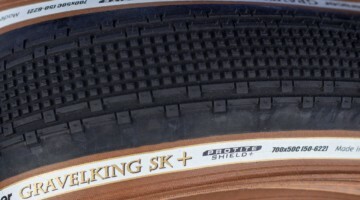 The tire felt more supple rolling straight, with a very slight increase in rolling resistance, perhaps from more of the tread making contact with the dirt because of the more squared-off profile. 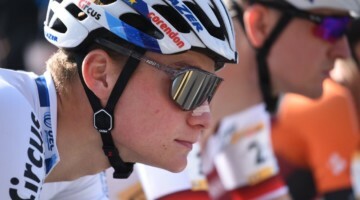 It was under cornering where the newfound width really came into play. On a tire like the Hommage with a pronounced side tread, the outer knobs felt significantly more accessible and dug in more readily. As a whole, the tire felt grippier overall, and we hit familiar corners with increased confidence. Fun! 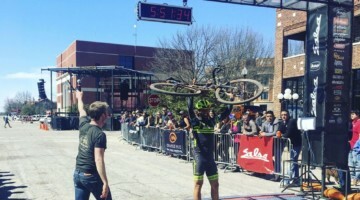 Even for a 6’10” 210-pound tester, the wheels certainly felt plenty stiff, especially when sprinting and laying power down on climbs. There was almost no discernible side-to-side flex, certainly even less than some 32-spoke wheels we’ve tried. Both wheels felt as stiff as we’d like them to be under load and the only bobbing came from the fat tires and low pressure we chose. The wheels’ responsiveness was another highlight of our test. Don’t equate the big width with big weight. Compared to your average OEM wheelset or one with heavier rims and more spokes, the AMX29 added boost to accelerations, hops and the occasional front-wheel lift. No, they won’t turn you into a bunnyhopping Nys or Noble, but it’s noticeable. 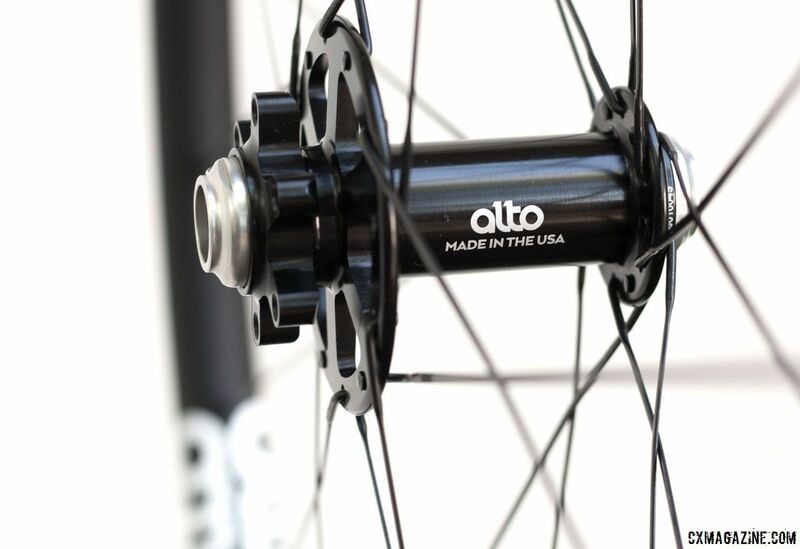 Alto Cycling is proud of its hub design, including its one-piece axles, labyrinth seals and ABEC 7-grade bearings. 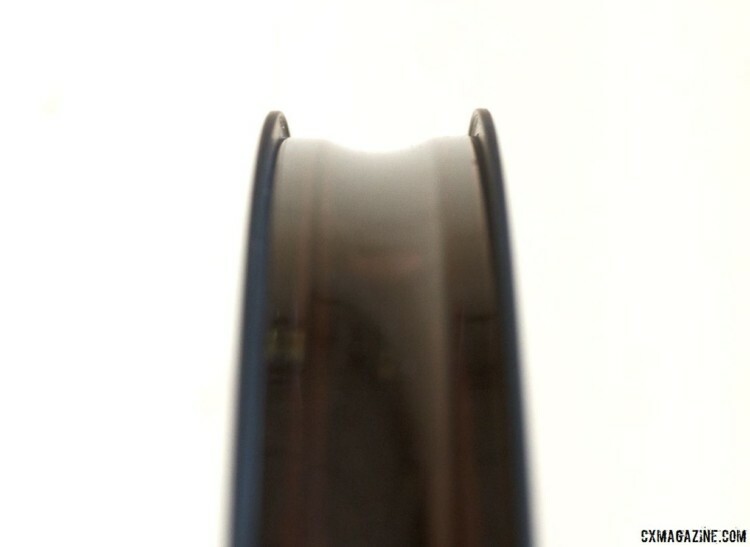 After a few months of use, the wheels spin freely on the bike, but when off the bike and subject to the finger test, there’s some noticeable friction in the bearings. Thankfully, the NSK DDU bearings are available separately and can be replaced. 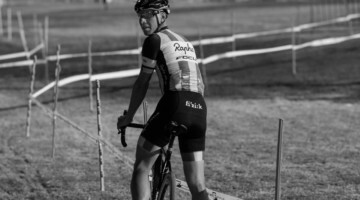 So, are these wheels too wide for cyclocross bikes? 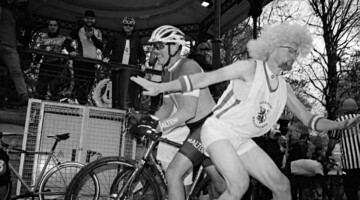 That depends on how you define “cyclocross bike.” Unless you are on a tight-clearance older bike, we don’t think so. Grab an undersized cyclocross clincher and you benefit from increased volume and more knobs on the ground. The width seemed to only enhance our comfort, control and fun and the benefits easily outweighed any penalty in rolling efficiency. However, if your rig is oriented towards races where officials are waiting with tire measuring blocks, the AMX29 width is likely too much unless you reach for a narrow Panaracer Cross Blaster or other narrow tire. Lightweight, thinwall alloy rims are always at risk for denting, but under our two testers, the rims have remained intact, round and true despite impacts from bottoming out. 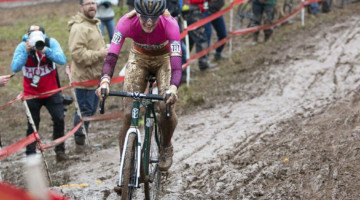 We would not bet on years of use without a nick or two, as any alloy rim we’ve used in cyclocross and rough gravel has eventually suffered from a rim-altering hit or two. 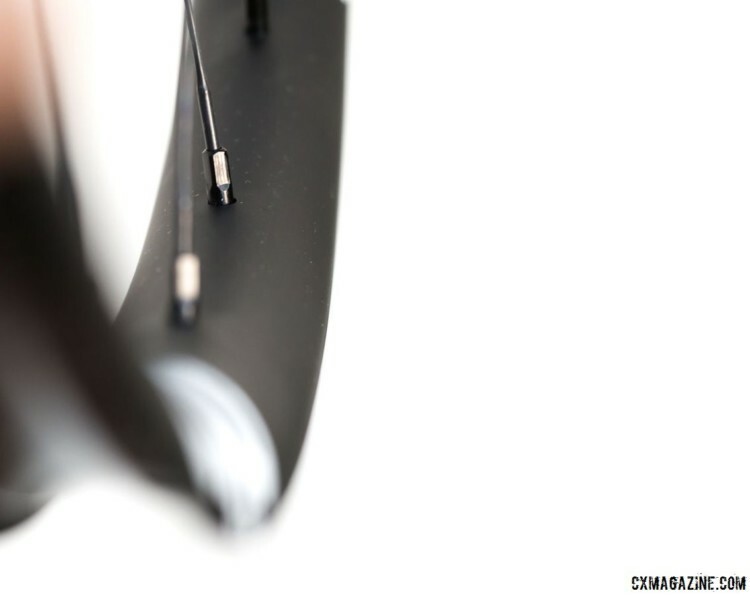 Carbon rims won’t dent but can crack, although carbon technology has improved so much in recent years that we’d wager most rim-denting forces won’t crack a well-constructed carbon rim. Sure, some dents you may be able to bend back. The theory used to be that consumers could buy two alloy wheelsets at the price of one carbon pair, but at $1,405, that’s not quite true when looking at Alto’s offerings. The company also offers carbon options if you’re leaning away from metal. The CCX28 saves about 100g is 5mm narrower, and will cost you $800 more. 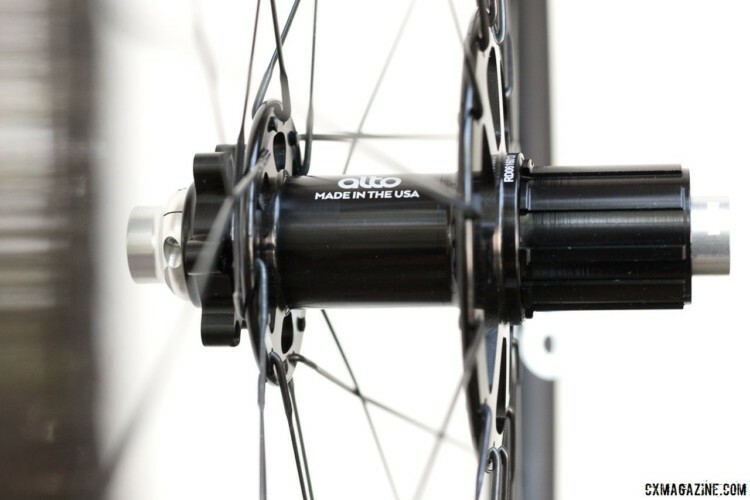 If you are in the market for tubulars, we also looked at Alto’s CTX40 carbon tubulars last fall. 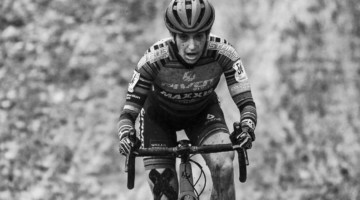 Alto Cycling’s AMX29 wheelsets hit the sweet spot in terms of width and tubeless reliability for both cyclocross and gravel. They’re at the upper-end of what we’d use for cyclocross wheels in terms of width, but for cyclocross, monster cross and gravel with 38-42mm tires, they’re ideal. The AMX29 wheels forgo some conveniences, as they are missing swappable end caps, deep center channels for easier tire setup and tubeless valves with removable valve cores (easily addressed, but an inconvenience and unexpected on $1,400 wheels! 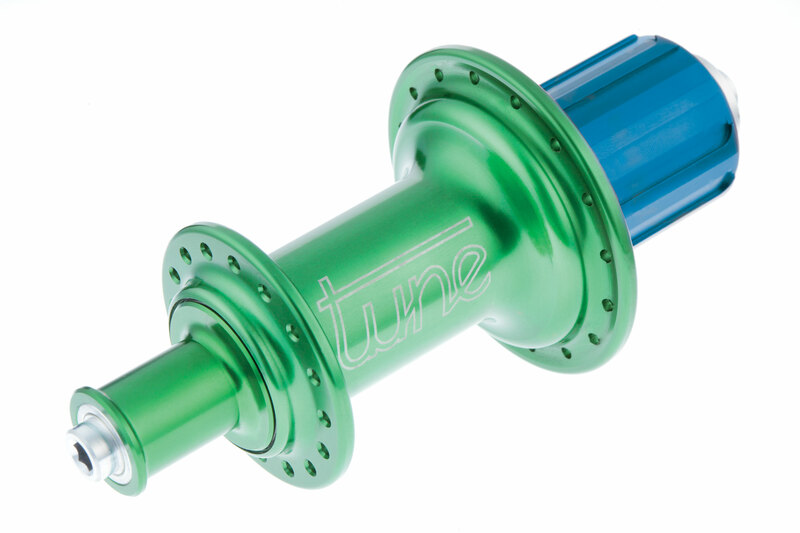 ), but once rolling, they redeem themselves with a responsive ride, durable design and a burp-proof tubeless setup. $1,405 is a lot to spend on wheels, especially alloy wheels, but the AMX29 certainly aren’t just any alloy wheels. 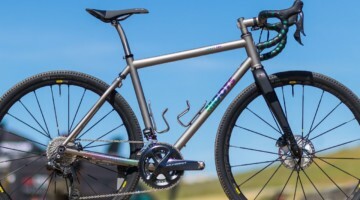 They’re competitive in weight with many carbon options, are built with some top-shelf domestically manufactured components and add some cushion for your mixed terrain pushin’. For more on the AMX29 wheelset, see the specifications and photo gallery below. For more tubeless wheelset options, see our archives. Alex Leanse and Andrew Yee contributed to this review.